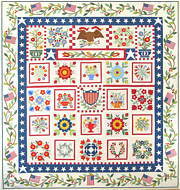 All American quilt kit - all at once or Block of the month. Limited supply. Orange Set 2 is unique from set 1. Both sets go nicely with each other. Total of 4 half yards. Five Calico prints from Happy Campers plus a coordinating black with white letters. Total of 6 half yards. 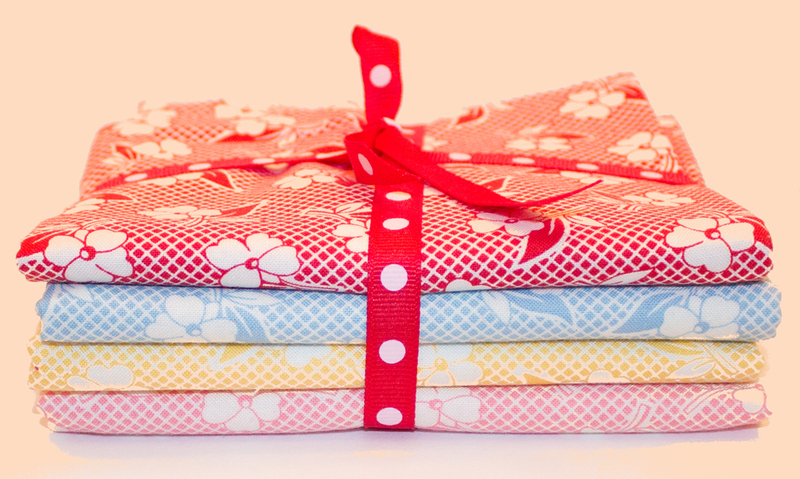 The original retro style multi-colored pezzy print with softer shades than the brighter Fairy Tale Friends pezzy. 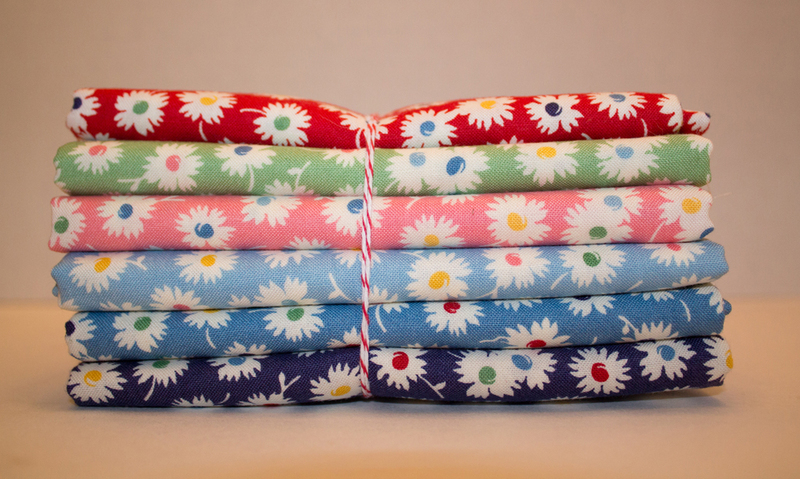 Bundle of 5 half yards. Full Set of baby chicks in every color from Pot Luck fabric line. Bundle of 5 half yards. Four bright and cheery letters to help you say something in a quilt! Total of 4 half yards.